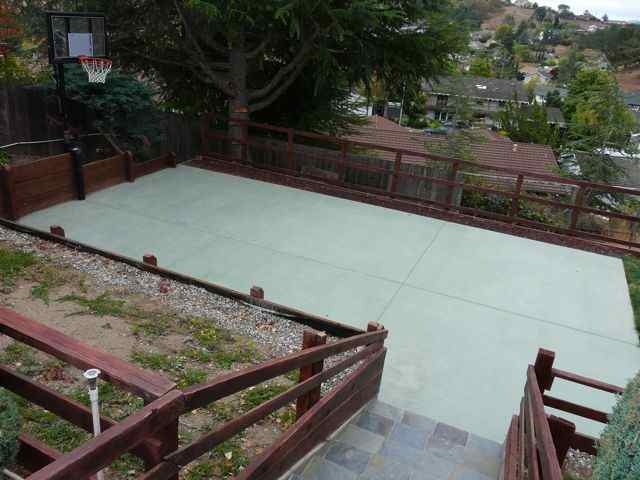 Concrete basketball courts are the ideal addition to your Marin County home. Concrete basketball courts are durable and long lasting. They will stand up against the test of time and add value to your home. Whether you have athletes or amateurs, having a concrete basketball court gives you a great place to exercise and have fun. The concrete court will be a place where your family can come and enjoy themselves for year and years. Concrete is the best material for basketball courts because it is sturdy, long lasting, and also safe. Loose gravel slides around under fast-moving feet causing unsure footing and more accidental slips and falls. It is easier to sprain young or old ankles on dirt or gravel than on a solid footing that concrete provides. Many sports such as basketball and tennis are hard to play on grass, dirt, or gravel surfaces. Concrete provides a sure base for the contact of the ball and getting the most out of your game time. It is also a place where family members play and enjoy their free time and nothing makes that more possible and fun than having recreational sports areas set up. Basketball nets and tennis courts and other athletic court areas make terrific places for everyone in the family to get exercise, play together and have fun, and develop their athletic abilities. Van Midde and Son Concrete can create the perfect outdoor athletic court for your family and help you design the best layout for your family’s needs. Concrete also adds value to your home by making a beautiful surface that will stand up to weather and wear and tear of use over many years. Van Midde and Sons Concrete can install a marvelous new concrete athletic court for you in any of their service areas from San Francisco to Sonoma County and Marin County. Their dedicated professionals will provide you with the very best in construction and will guide you every step of the way from conception and design through the finalization of your project. Make your home a showplace, and the place your kids want to be. Van Midde and Son Concrete are the professionals to call for all of the concrete solutions for your home. 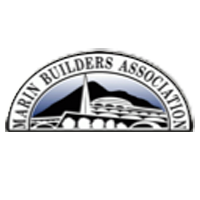 Located in San Rafael, Van Midde and Son Concrete installs basketball and athletic courts in Marin County, Sonoma County and throughout the San Francisco Bay Area.